Asif Gill is a result-oriented academic, adviser, consultant, inventor and trainer with extensive experience in successfully delivering multi-million dollar projects in various sectors including banking, consulting, education, finance, government, nonprofit, software and telco. Asif Gill specialises in designing and implementing actionable adaptive or agile enterprise value chain for operational resiliency, business optimization, transformation and innovation. He has developed a comprehensive adaptive or agile enterprise value chain design framework (a.k.a The Gill Framework® V 3.0). Asif has extensive experience in both agile and non-agile environments, displaying a deep appreciation of their different perspectives in a number of IT-enabled improvement, transformation and innovation projects of varying sizes. 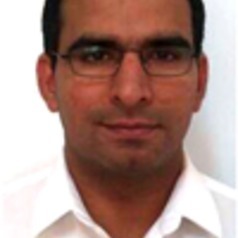 Asif has a PhD Computing Science, MSc. Computing Science and Master of Business. When completing his PhD at UTS he was awarded the Australian Postgraduate Award for Industry (APAI). Asif is invited and involved as a professional speaker,conference chair, organiser and reviewer for a number of quality academic and industry conferences.